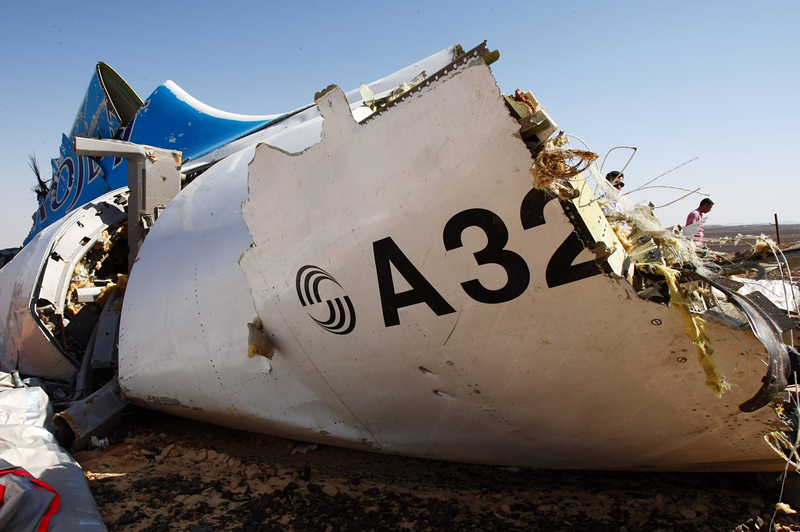 A year after the Kogalymavia passenger jet crash in Egypt, what do we know? Russian airline Kogalymavia's flight 9268 crashed en route from Sharm el-Sheikh to Saint Petersburg on Oct. 31, 2015, killing all 224 people on board, the vast majority of them Russian tourists. The bombing that killed all 224 aboard the Kogalymavia airliner on route from Red Sea resort Sharm el-Sheikh to St. Petersburg on Oct. 31, 2015 resulted in the suspension of all flights between Russia and Egypt. But with Cairo refusing to officially acknowledge the disaster as an act of terrorism and investigations incomplete, questions still remain. One of the worst air crashes in Russian history took place exactly a year ago, on Oct. 31, 2015. A passenger Airbus 321 belonging to the Kogalymavia airline was brought down in Egypt’s Sinai desert shortly after take-off en route from the resort of Sharm el-Sheikh to St. Petersburg. All 224 people on board were killed. Investigators have concluded that the crash was caused by a terrorist attack. A week after the disaster, flights between Russia and Egypt were suspended and have still not been resumed. Flight 9268 set off on its last journey at 03:50:06 UTC (05:50:06 local time). At 04:13:00, the aircraft sharply lost altitude and then disappeared from radars. Shortly before the crash, the captain asked air traffic control for permission for an emergency landing in Cairo due to a technical malfunction. However, it was impossible to save the aircraft. Its wreckage was found not far from the town of El Arish, scattered over an area of 20 square miles. Most of the passengers on board, including 24 children, were tourists returning home from a holiday in Egypt. The youngest passenger was 10-month-old Darina Gromova, whose picture taken just before the flight went vital after the crash and became a symbol of the tragedy over Sinai. Several hours after the crash, responsibility for the disaster was claimed by Islamic State militants, with the mastermind behind the explosion named as Abu Osama al-Masri, head of the Wilayat Sinai group, believed to be the Egyptian branch of Islamic State (ISIS). Later, through their affiliated media, the terrorists released pictures of the explosive device that had brought the plane down. It turned out to be an IED made out of an ordinary aluminum can. The militants claimed that they managed to get the bomb onboard the aircraft after they had discovered a breach in security at Sharm el-Sheikh airport. According to Reuters sources, the bomb was planted by an EgyptAir mechanic. A year earlier, his cousin had gone to Syria to join ISIS there. Officially, Egyptian representatives state that they have not discovered any proof that the crash of the Russian passenger airline was an act of terrorism. However, a Reuters source has confirmed that four people have been detained: the mechanic, two policemen and a baggage handler. The investigation has made it possible to establish the exact location where the bomb was hidden. The terrorists planted it among pushchairs and wicker furniture in an area of the aircraft for storing bulk baggage. The epicenter of the explosion was established through laying out the fragments of the aircraft in a hangar at Cairo airport. The remaining wreckage made it possible to create a plan view of the aircraft. The location of the bomb was such that even a small explosion would have instantly torn off the rear end of the aircraft, making it uncontrollable. The decision to suspend air travel to and from Egypt “until its safety is duly ensured” came into effect on Nov. 6. Starting from the same day, Russian tourists vacationing in Egypt were brought back home once their trip was over. They were allowed to travel only with hand luggage, with the rest of their things shipped back to Russia by special Emergencies Ministry aircraft. On Nov. 16, at a meeting convened to discuss the probe into the crash, President Vladimir Putin promised that Russia would find those who were behind that terrorist attack. “We shall be looking for them everywhere, wherever they are hiding. We shall find them in any place on earth and we shall punish them,” he said. Furthermore, Putin ordered that air strikes against ISIS targets in Syria be stepped up. Following that order, the Russian air force group in Syria was strengthened, with long-range aircraft joining in the air strikes. “Our air force combat activities in Syria should not only be continued. They should be stepped up so that the criminals realize that retribution is inevitable,” Putin added. The victims’ families do not have to wait much longer for the first findings of the investigation into the Sinai air crash: According to a source at the Egyptian Civil Aviation Ministry cited by Egyptian newspaper Al-Watan, the preliminary results will be published within the next 60 days.